Update, Sept. 29 – The House Energy and Commerce Committee will consider a CHIP reauthorization the week of Oct. 2, Chairman Greg Walden announced. “CHIP, now in its 20th year, has always been bipartisan and we hope this extension will be no different,” he said in a release. Two programs serving more than 9 million children across the United States expire Saturday, endangering vital health insurance coverage and early childhood education programs. Both the Maternal, Infant, and Early Childhood Home Visiting program and the Children’s Health Insurance Program have long had bipartisan support, but as of late Wednesday, it looks like there will be at least a lapse in their funding, which runs out Sept. 30, the end of the fiscal year. The Maternal, Infant, and Early Childhood program funds scheduled visits by nurses and other health workers to help at-risk new parents and families with health, education, and parenting problems. The programs served 160,000 families in fiscal 2016, at a cost of about $372 million. The visits have been tied to improved academic outcomes for children, better economic opportunities for families, and a reduction in child abuse. It has long had support from groups ranging from early education advocates to law enforcement. 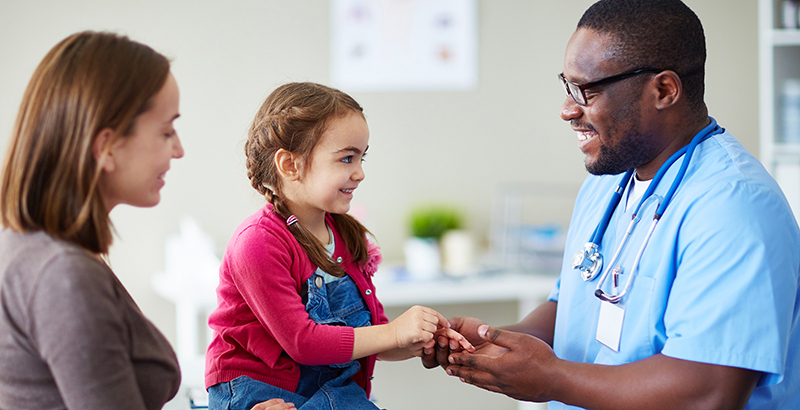 The Children’s Health Insurance Program provides low-cost health insurance to nearly 9 million children whose parents make too much to qualify for Medicaid but not enough to afford other insurance. The federal and state governments share the costs; the federal share this fiscal year was about $17 billion. The late Sen. Ted Kennedy, a Democrat from Massachusetts, and Sen. Orrin Hatch, Republican of Utah, sponsored the bill creating the program in 1997. There has been slightly more movement on a reauthorization of the home visiting program. The House on Tuesday narrowly passed a bill to reauthorize the program for five years, 214–209. Democrats in particular opposed the bill’s requirement that programs, most of which are run by states, gradually start raising other funding. By 2022, states will have to cover 50 percent of the costs. “I fear that many states will lose federal funding and will be forced to cut off home visiting services altogether. Where do you propose poorer states with lower investments in home visiting get the money to meet the matching requirements?” Rep. Alcee Hastings, Democrat of Florida, said yesterday. Republicans also proposed funding the program by barring Social Security benefits from being paid to anyone with an outstanding arrest warrant for a felony offense. Cutting off that payout and the state match, GOP lawmakers argued, were necessary to meet a House rule that requires programs to be fully offset. Advocates, who are also skeptical that states will be able to drum up the required extra dollars, are more optimistic about a pending Senate bill, which takes into account changes that do need to be made, but without the required state match, Diedra Henry-Spires, co-leader of the Home Visiting Coalition, told The 74. The coalition is an umbrella organization representing advocacy groups for pediatricians, early education, law enforcement, teen pregnancy prevention, and others. “We as a coalition really do favor the Senate bill, in that it takes the point of view of states, [program] models, advocates, children, parents, families, and the need for any increased accountability, and sort of balances all of that,” she said. Beyond being introduced, there’s been no concrete legislative movement on the Senate bill. One option might be a short-term extension while lawmakers hash out a larger deal, but at this point, advocates don’t have a lot of information, she said. An end to federal funds would mean a slow trickle of closures as federal dollars run out from program to program, and possibly the layoffs of staff who have built strong relationships with the families they serve, Henry-Spires said. On the CHIP reauthorization, Democratic and Republican leaders of the Senate Finance Committee introduced a reauthorization earlier this month. The bill has not moved. An end to CHIP, too, would cause a stream of children across the country to lose their health insurance, largely dependent on where they live. The Kaiser Family Foundation this summer surveyed states on whether they planned for a lapse in federal CHIP funding and how it would affect them. Nearly all — 48 of the 50 states, plus Washington, D.C. — assumed continuing federal funding when they wrote their state budgets for fiscal 2018 and so didn’t plan to cover those extra costs. Ten states said they’ll run out of CHIP funding by the end of the calendar year; another 22 states and D.C. will run out by March of next year. That’s crucial because some states have state laws requiring a freeze or end to CHIP programs if federal aid falls. Nevada, for instance, estimated it would run out of money by late November or early December, forcing officials to freeze enrollment on Nov. 1 and end coverage Nov. 30, requiring notice be sent to families by the end of October, according to Kaiser.